Between 25 April and 1 May 1915. Harold Radcliffe was the son of Mr. and Mrs. John Radcliffe, of Stafford St., Timaru, New Zealand. Genealogical notes by Guy Holdgate read: "PRIVATE HAROLD JOHN RADCLIFFE: oldest son of John and Elizabeth Radcliffe of Stafford Street Timaru and cousin to William Holdgate. After school he joined as a salesmen his fathers furnishing company J Radcliffe at the corner of Stafford and Beswick Streets Timaru. 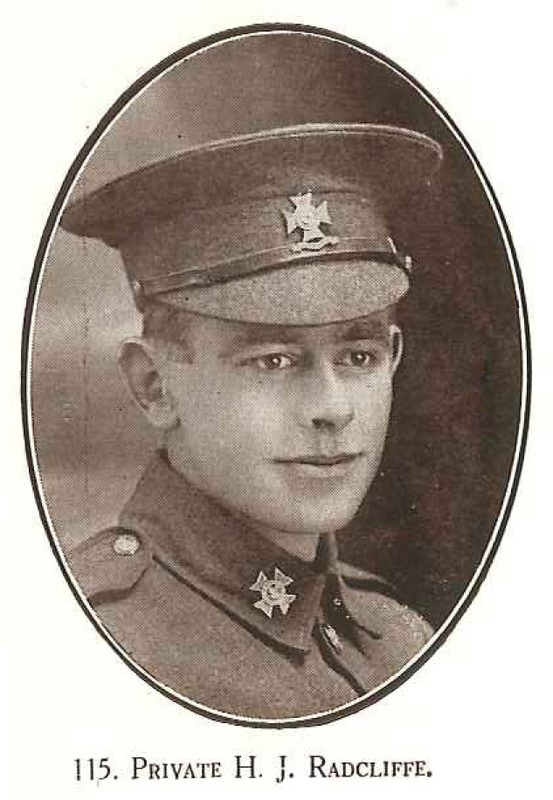 Harold enlisted on 11th August 1914 and sailed for Egypt on the 16th October 1914 with the Canterbury Infantry Battalion. He was killed in action sometime in the first days of the landings at Gallipoli (25th-30th April 1915) and his whereabouts is unknown. He is listed as one of those killed at the landings from the Canterbury Infantry Battalion, and his name is engraved on the Lone Pine Memorial at Lone Pine Cemetery (Gallipoli)."